I was fortunate to be home when someone from the The Cubs organization called me. "Can you be at Wrigley Field in a half hour? 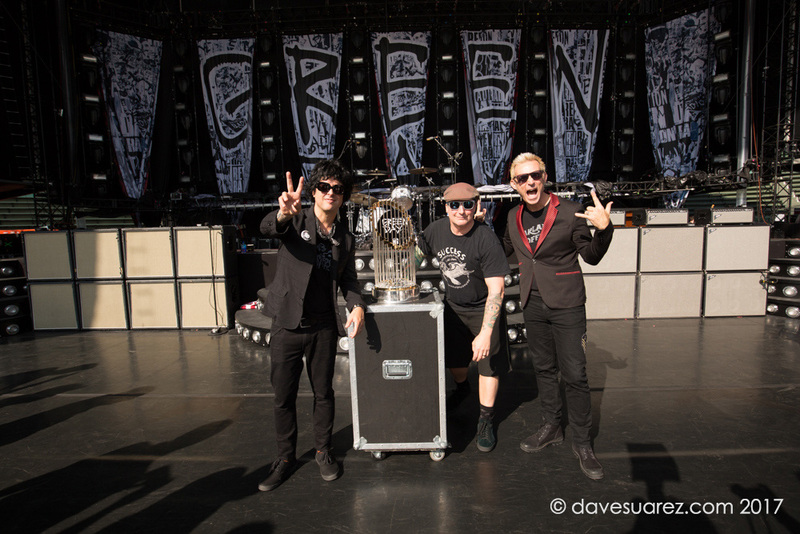 Green Day wants a photo with the Cubs World Series Trophy during their sound check" I somehow managed to change my clothes, pack my gear for photo shoot and still make it to Wrigley in time. Shoot went well and the concert was great. 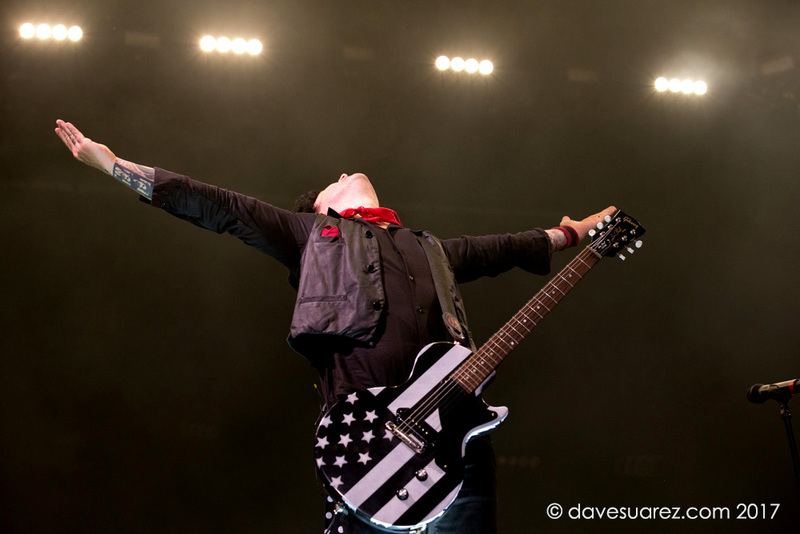 Billie Joe Armstrong, bassist Mike Dirnt and drummer Tre Cool treated their Wrigley debut on Thursday night as if it was an opportunity to show they still were young at heart. 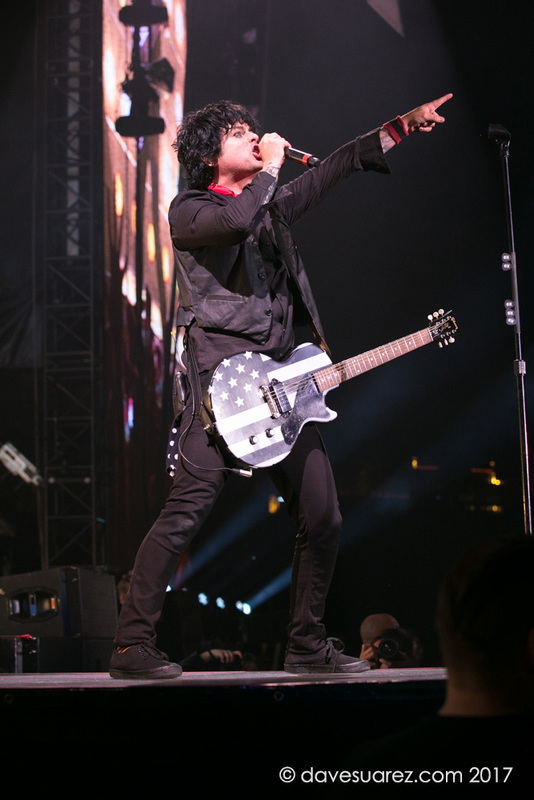 Green Day played all their hits as well as songs from “Revolution Radio,” the group’s most recent LP.